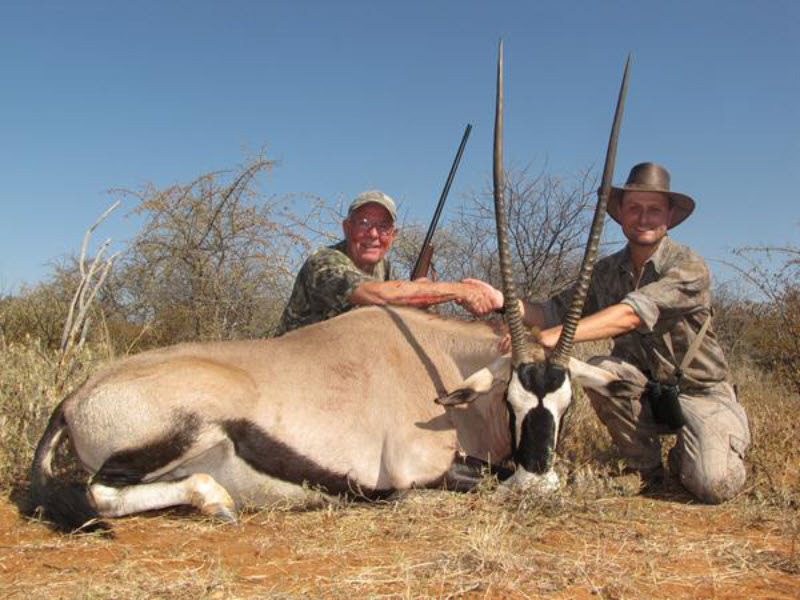 As private landowners we are the best in providing custom-made African Hunting Safaris with over 20 years experience. 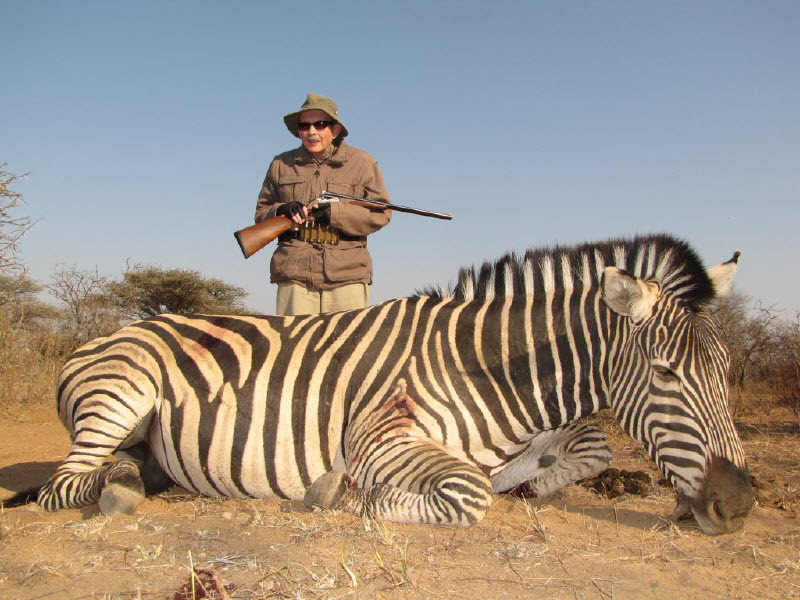 We also offer Photo Safari packages. Rustic Thatched and natural stone Chalets, with air-conditioning and en-suite bathroom with flush toilets and shower, hot and cold running water and all necessary facilities. Removed from the city life and sounds, you can expect to enjoy a peaceful, isolated and exclusive breakaway. Let us host your wedding, conference or special event. 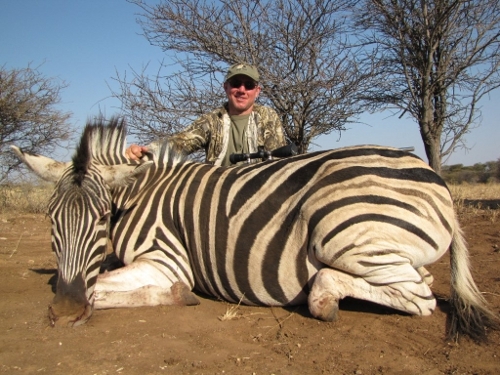 We incorporate the Best Hunting concessions specializing in Big 5 (Elephant, Lion and Buffalo), Exotic and plains game hunting on over 400,000 acres (200,000 ha). 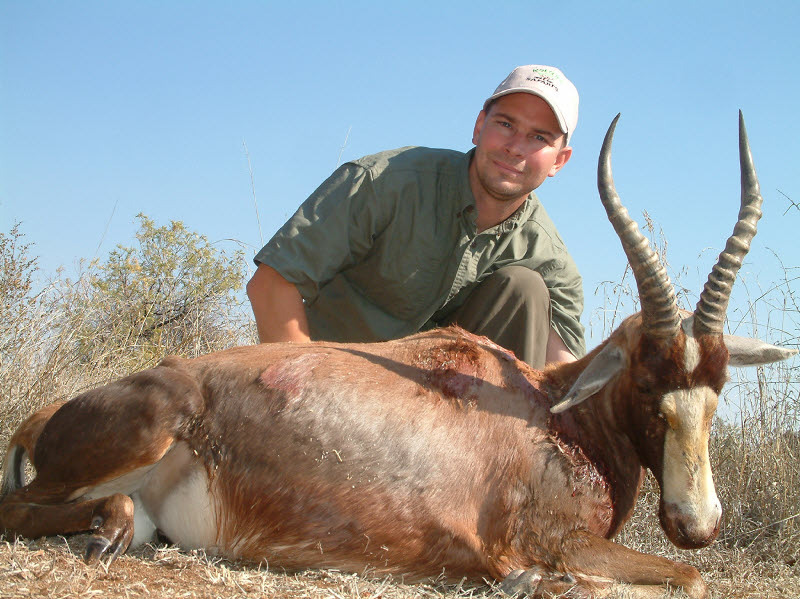 In addition to your superb hunting experience you can anticipate exceptional lodging and exquisite true African cuisine. 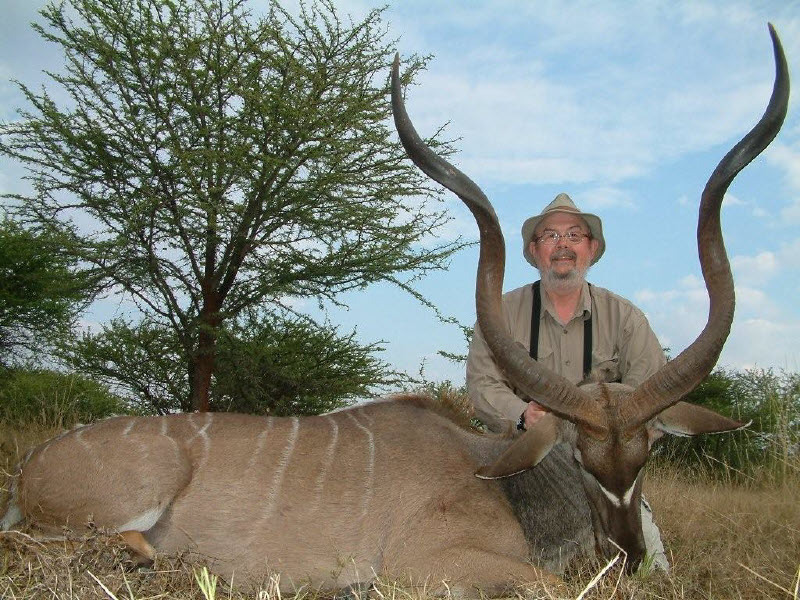 We invite you to experience your lifelong African dream with us through our personalized service as a result of our Family-operated business. Whether you are a hunter, bird-lover, outdoor adventurer or just a weekender breaking away, you will feel right at home at KOLOBE. 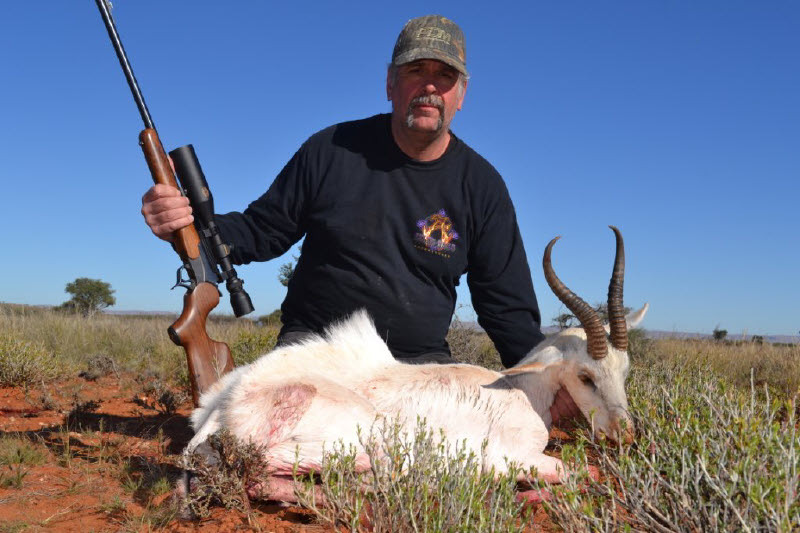 The Ranch is owner-run with the emphasis on personalized service from your Outfitter,Professional hunter and Hosts, Daniel and Dorea du Toit. 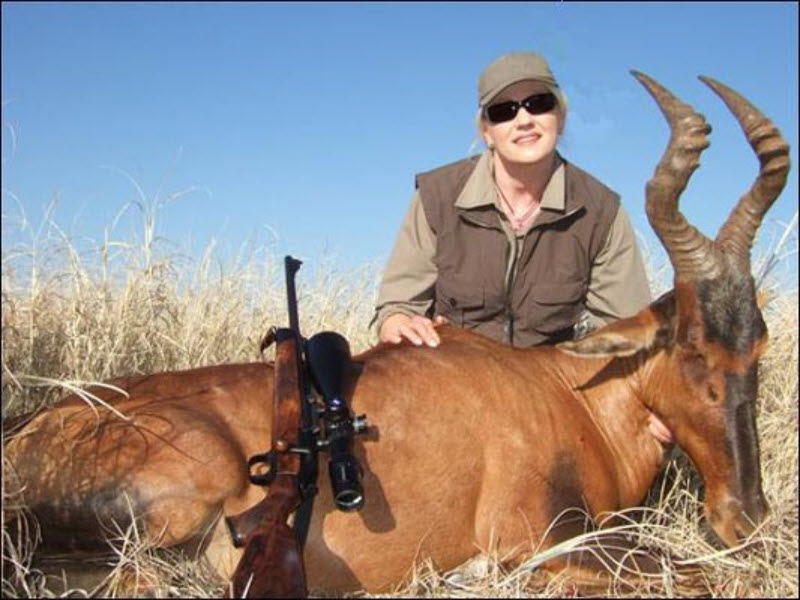 With regards to hunting, we cater for rifle, bow and green hunt. KOLOBE is beckoning you to experience her perfect solitude, broken only by nature's sounds. You will leave KOLOBE with a quickened spirit and a new outlook on life. Removed from the city life and sounds, you can expect to enjoy a peaceful, isolated and exclusive breakaway. Only one group reservation at a time, will ensure privacy and that "At-Home" feeling. 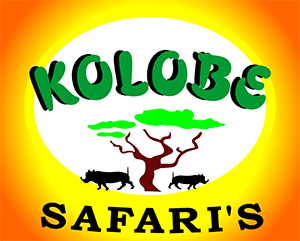 KOLOBE Safaris is ideal for the person that expects more than the usual. No Hidden costs. Safe and Crime-free area. Removed from the city life and sounds, you can expect to enjoy a peaceful, isolated and exclusive breakaway. Only one group reservation at a time will ensure privacy and that ‘home away from home’ feeling. 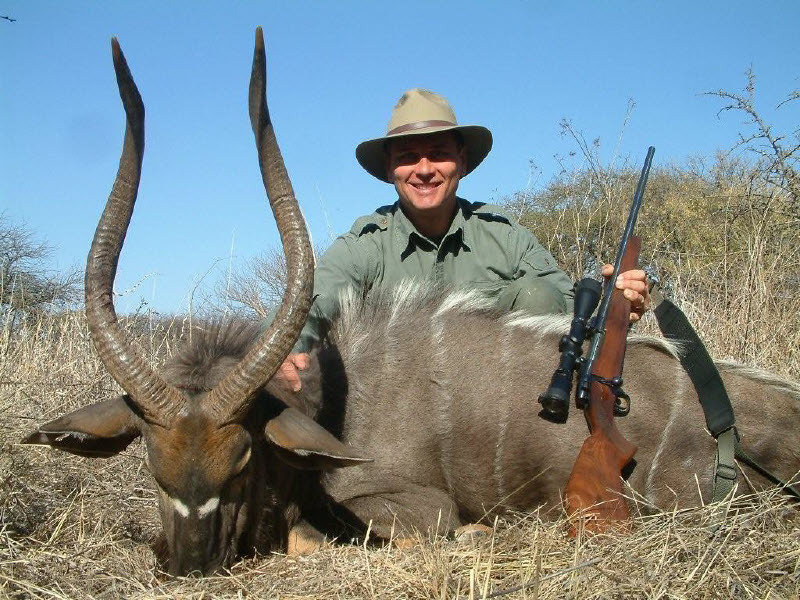 Kolobe Safaris is ideal for the person that expects more than the usual. Safe and crime-free area.